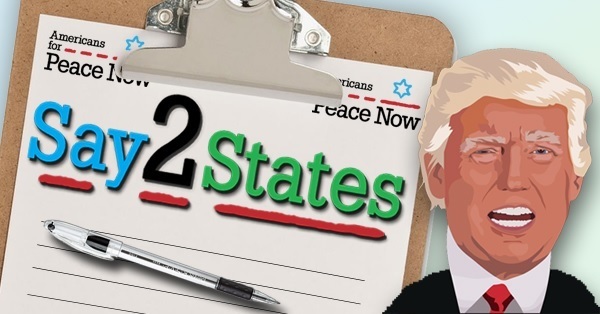 Tell Trump: Say Two States! President Trump says he wants to broker the “ultimate deal,” a peace agreement between Israelis and Palestinians. But since taking office in January, he and his aides have failed to offer a framework for negotiations, have failed to assert positions that are vital for securing a peace deal, such as sternly opposing settlement construction, and have refused to endorse the only viable formula for a deal: the two-state solution. 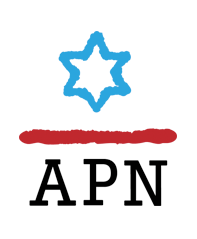 Go here to sign APN's petition and tell Trump: Don’t play into the hands of the anti-peace extremists. We call on you to endorse the two-state solution. Say two states! 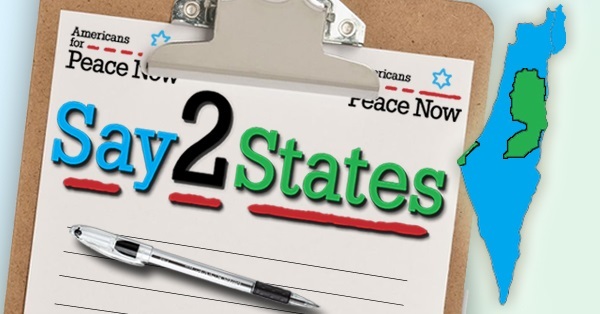 Sign our petition: Say Two States!